Be A Walking Gospel Tract. Spread the Word... 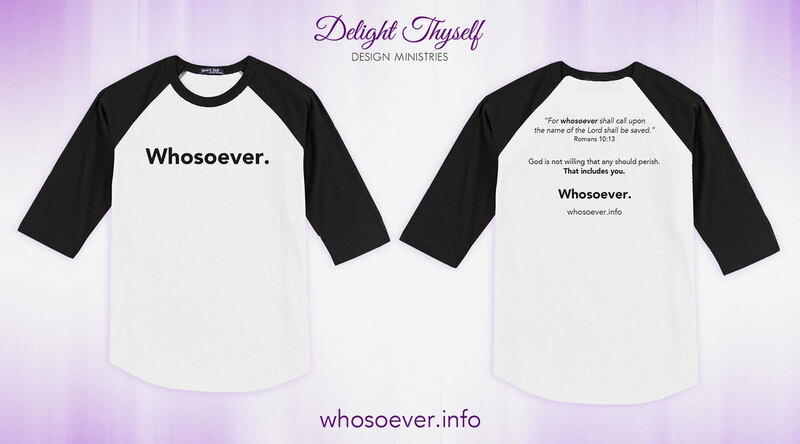 Wear a "Whosoever." item to witness to every person you come in contact with. Our "Whosoever." 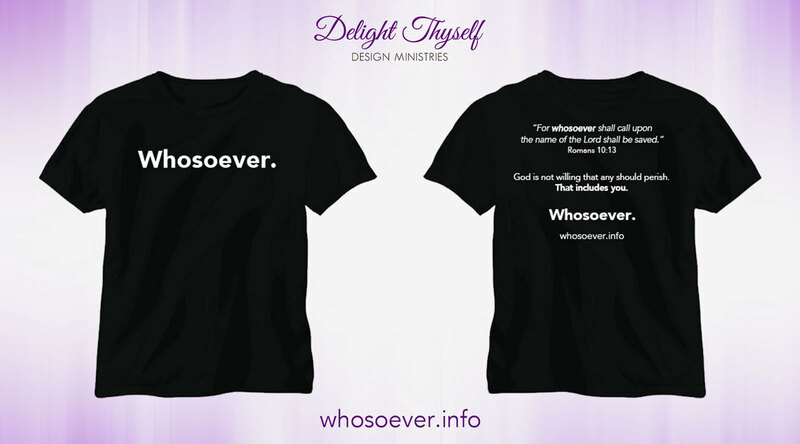 apparel come with our "Whosoever." logo printed on the front, and a short Gospel presentation on the back, along with our website, whosoever.info, for full Gospel presentation. We have created a website, whosoever.info as another means of getting the Gospel to the lost. All profits made from these t-shirts go toward sending printed Whosoever tracts to missionaries around the world. Visit whosoever.info for more information.